ANTALYA | RYIADH, SAUDI ARABIA. 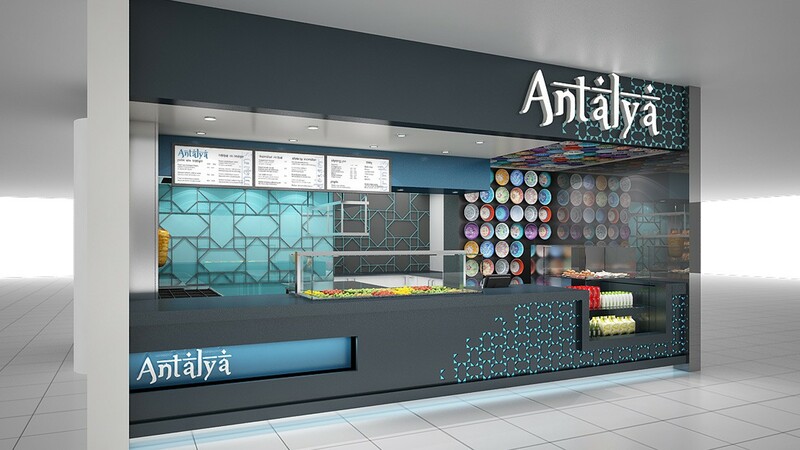 Turkish food-court concept with the concept colours depicting the blue coastal location. A selection of Turkish plates are set into the ceiling and wall to create colour and interest.